Dental implants are among the most successful, comfortable, and longest lasting treatments available to replace missing teeth. With implants, dental patients can enjoy new teeth that feel and look more like their own, all while supplying improved oral function. Dr. Gall provides implant dentistry in Griffith, IN to help patients enjoy renewed and improved smiles after dealing with the effects of missing teeth. Dr. Gall and his team develop treatment plans for your dental implant procedure and provide life-like dental prosthetics to help restore the natural appearance of your smile. As implants contain a component that is surgically embedded into bone, like a tooth root, we collaborate with periodontists and oral surgeons for this phase of your treatment plan. Our referral periodontist and oral surgeons work in partnership with our implant dentist, Dr. Gall, to ensure that patients receive the same quality care they have come to expect at our office. Our office supports treatment success by using a multi-disciplinary approach that ensures proper care pre and post treatment. Dr. Gall believes in a routine of preventive care to make sure that implants are able to be cleaned and checked periodically for maximum longevity and comfort. 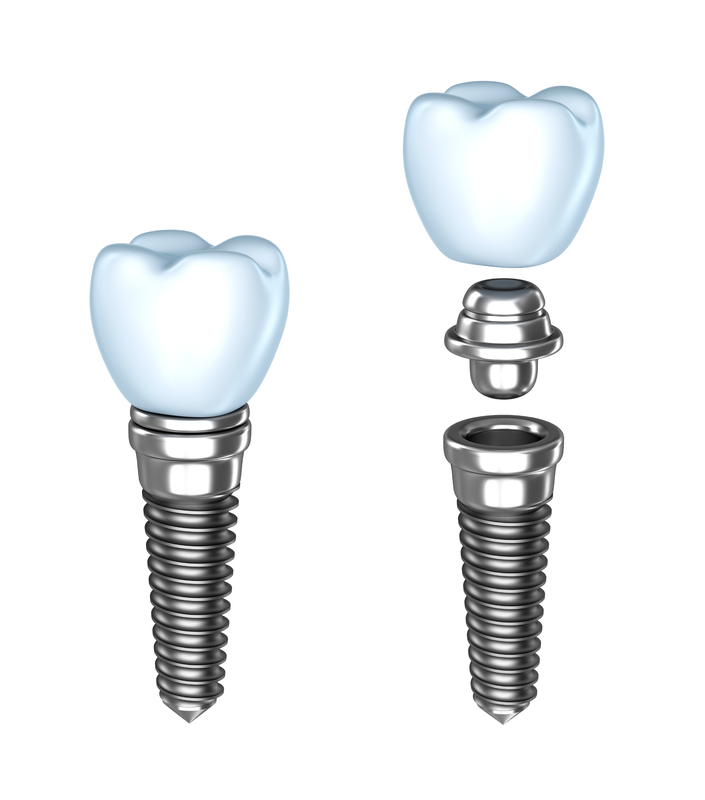 Single Implant Crowns – A prosthetic shaped like a natural tooth that is positioned on top of a single implant post. All-on-4 – A restoration that spans an entire arch to correct total tooth loss, with the application of only four dental implants. All-on-4 is cost-effective, permanent, and long-lasting. Implant Dentures – For patients with complete tooth loss, their existing dentures can be converted to implant dentures and held in place with a varying number of implant posts, from just two to a full arch of implants. To help your new implant-supported teeth look as true to life as possible, and to provide lasting function and aesthetics, our Griffith dental implant office uses zirconia and all-porcelain materials for abutments (attachment components), crowns, and dental bridges of differing sizes. Dr. Gall also works with Nobel and Straumann implants – trusted names in implant dentistry whose products are backed by years of research and support. Our dental implants patients love their new implant teeth. With over 700 implant cases to his credit, Dr. Gall is able to provide skilled, predictable implant dentistry in Griffith. For more information, or to schedule your implant consultation, contact our office today.